I will head straight to the E2000 and the E3000, the currently two only products of Final’s new budget E series. The term ’budget’ wouldn’t be the correct description, even though they are very competitively priced. Nowhere do these products feel cheap or leave the impression as if features were cut to save costs. In the contrary, first impressions are extremely positive. Luckily Final chose to maximize the performance/price ratio and offers their two new in-ear monitors at surprisingly low prices of $ 45 and $ 60, respectively. Unfortunately, my review units came without a box. They arrived in an OEM plastic bag with what I believe to be the default accessory set. The included accessories were the same for both the E2000 and E3000. Next to some formidable silicone ear tips, which I will discuss in detail later, the IEMs come with a soft and small black pleather pouch as well as some rubber ear guides. The latter proved to be a very welcomed extra that I never thought I needed before. Wearing the cable over the ear is nothing new. It greatly helps with microphonic noise from the cable and helps as a strain relief. The rubber material is soft and flexible. It is open to the outside and has small dents on both ends to hold the cable in place. 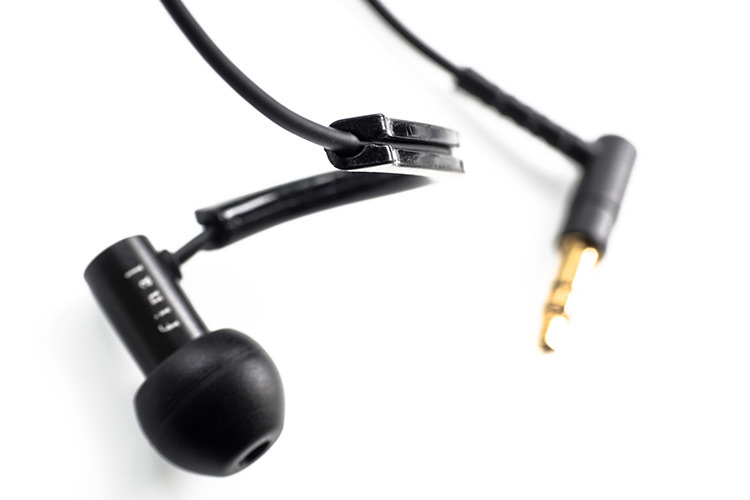 Even with the guides installed, the cable remains flexible and somewhat adjusts to the individual ear. On your first try, you might have to figure out the correct height but after that, there is nothing in the way of great comfort. Removing them is just as easy as installing them. I found they worked best when laying on my back. Without the ear guides, the cable would free itself from the ears and awkwardly float next to them. The ear tips were another pleasant surprise. The silicone feels soft and the stem is flexible. The rubber surface is grippy and feels secure in the ear canal. Btw, there is a lot of thought put into the ear tips. For one, these do a good job at mimicking SpinFits main feature. Instead of having a joint like the SpinFit design, these prove to be somewhat flexible in their base. Little notches hold them in place nicely so they don’t lose grip when you bend the tip to the side. They allow moderate cornering without noticeably changing the sound. This really did work well in my test and I can see myself using these tips on other IEMs too. However, the tips are also specifically designed for the E2000 and E3000. You might miss it at first glance, but the very bottom is cut at an angle. Together with the fluted surface, these tips allow air to stream by. If you look very closely, the way the ear tips slide in place on the notch, there is always a small gap left in front of the main bullet housing. On the inside of the IEM hides a small bass vent. If you switch to third-party ear tips, you will most likely close the gap and block the hidden vents without knowing it. This results in a very strong bass boost. I am starting to really like F.A.D.’s handwriting when it comes to design. You can tell they were an OEM manufacturer in the past. Their product design prioritizes functionality. While the E3000 comes across as a bit flashy due to the reflective silver shell, the overall bullet shell design is minimal on both IEMs. The earphones are really tiny and only the straight-angled cable is holding me back from shoving them all the way down my ear canal… Yes, that was a compliment. Either side of the housing has a print with either the company name or the model number. The L/R side indicator is only printed on the bottom. There are no ’touchable’ indicators that would help you to tell the left and right speaker apart in the dark. The nozzle is produced separately from the shell. It is made of black plastic and has what I believe to be an ear wax filter to keep the inside of the earphones clean. Personally, I prefer the aluminum black matte finish on the E2000 over the silver reflective stainless steel of the E3000. Even with the flashy presentation of the E3000, the overall design is still minimalistic. The silver has a nice contrast to the black ear tips and cable. I do believe that the difference in price comes from the choice of materials alone. BTW, I hope you don’t notice it, but the E3000 is a pain to capture on photographs! They also scratch more easily than the matt E2000. Thanks to the tiny bullet housing, there should not be any problems in comfort for anybody who ever used IEMs before. You just slide them in and the tips will sort the rest. You don’t really have much control about the angle either. Using smaller ear tips will allow deeper insertion, though. As I mentioned earlier, the optional ear guides are flexible and their soft rubber feels good on the skin. 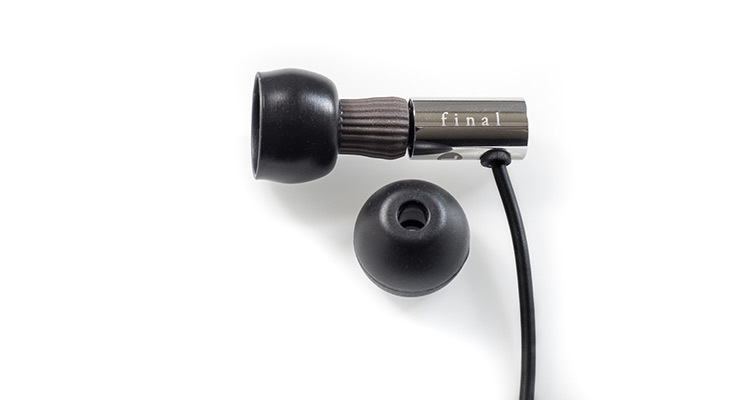 So wearing the Final Es over the ear is recommendable for less microphonics and a more secure fit. This is an option that I strongly missed when reviewing the latest revisions of the Etymotic ER4s. With the Final design, I can even sleep on the side. 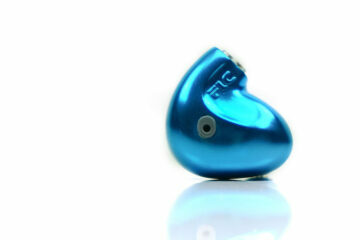 There is no talking around it, the isolation is very poor for an IEM. The micro-dynamic driver likes to push air around and the earphones have vents on both sides of the housing. The backside features an edge-to-edge metal mesh with presumably a filter just behind it. However, these are not a fully open design so you will get some isolation from surrounding noises, but if blocking out noise is an important feature for you, I suggest to look elsewhere. The cable on the Final E-series is not removable but makes a good impression. The material is soft and flexible and it also manages to straighten itself out nicely without hardly any memory. It feels very premium, but I wouldn’t want to try a stress test on it – above the Y-split it is quite thin. The cable terminates in a right-angular 3.5mm jack that does stick out a bit but also has a very narrow finish that should be compatible with more than most smartphone cases. The length is sufficiently long at measured 48.62 inches (123.5 cm). The left and right earphones are separated for almost 18in (45.5cm) which leaves more than enough cable to even wrap around Dumbo’s ears. What would you recommend between these two for someone who has the Vsonic Vsd5s? I upgraded from the VSD3S to VSD5S so it seems like V-shaped is what I like. 1More Triple Driver didn’t impress me at all. MH1C was nice but I still preferred my Vsonics. The next Vsonic upgrade is sadly out of my budget however. Sadly none of us have tested the Vsonic range yet. Sorry. Between the two, which one has the closest signature to the mh1c? And would you call it an upgrade if coming from mh1c? the E3000 is tonally closer to the MH1(C). If you put build (and accessories) aside and only compare sound quality, the MH1 is punchier, snappier and overall faster. If you can get the Sony recabled for the same price, go for it. However, the MH1 don’t always have good driver matching. You should listen before you buy. Sony’s quality control for the budget-line is inferior. Thanks Klaus for the reply. I do really enjoy MH1C, but I have an issue, other that the cables and such, with MH1C is that it’s missing a bit of top treble. I am not sure if it’s a defect because both sides have the similar response, but the high freq instrument renditions feel too thin for me. So if the E3000 has close enough signature and has a better treble expansion compared to the MH1C, I might take it. I also want to try something with a bit of deeper soundstage, and from some reviews, I assume that the E3000 has that.